Due inclement weather, the remainder of the 2019 Camp Perry Open is CANCELLED. This difficult decision was made with the assistance of the Ottawa County Sheriff's Office. Ottawa County and all surrounding counties are under a Level 3 Snow Emergency as of 0700 and they do not anticipate lowering the level until well into the day. A Level 3 Snow Emergency means the roads are closed to all vehicles. We are very saddened to come to this decision, but feel it is in the best interest of our competitors to remain safe. 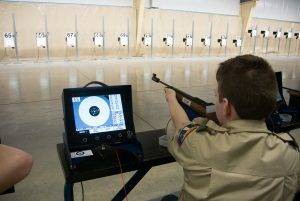 For over a decade, the Civilian Marksmanship Program’s (CMP) Camp Perry Open has been a thrilling and unique destination for air rifle and air pistol competitors. 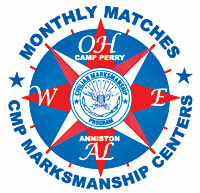 The Camp Perry Open is open to competitors of all ages and skill levels. Adults and juniors participating in the match will be given the rare and inspiring opportunity to fire alongside some of the most talented marksmen in the country, including members of the Army Marksmanship Unit and the USA Shooting team. 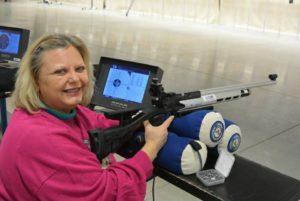 Matches to be fired during the competition include the Men’s and Women’s 60 Shot Air Rifle and Pistol matches and the 3x20 Junior Air Rifle individual and team events. Informal awards ceremonies will follow both the 3x20 and the 60 Shot Matches each day. The Super Finals, which is arguably the highlight of the Camp Perry Open and sets it apart from other matches, breaks from the traditionally quiet finals administered during marksmanship events by allowing loud music and crowd participation at an attempt to distract competitors from behind the firing line. Additionally, spectators and competitors alike have been known to dress up in costume to add even more excitement to the event.